First, you will need a domain name. If you don't know what a domain name is, go here to read an article about "what is a domain name". Second, you will need web hosting. If you don't know what web hosting is, go here to read an article about "what is web hosting". We recommend Host Gator for hosting services. First, because of the low cost and second because HostGator web hosting is "green". You can read more about green web hosting here. We’ve been using HostGator for over two years and have hundreds of websites hosted with them. We've so far had no bad experience with them. The quality of their hosting services is not short of excellent. Hostgator web hosting packages range from $5-$10/month, depending on how long you sign up for, and they basically offer you more resources than other web host companies. If you are interested in saving $9.95 on your annual web hosting package. 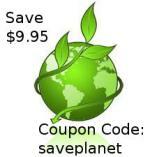 Use this coupon code "saveplanet" (without the qoutes) as you check-out. This saving is equivalent to approximately 2 months of hosting. You can also purchase your domain name with Host Gator. 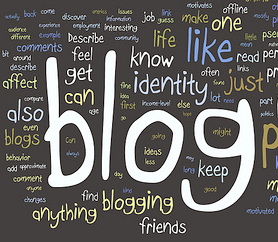 If you have any further questions about learning and building our own Wordpress blog or website, you can always contact us here.